Aeneas, escaping from Troy with his father Anchises and juvenile son Ascanius. 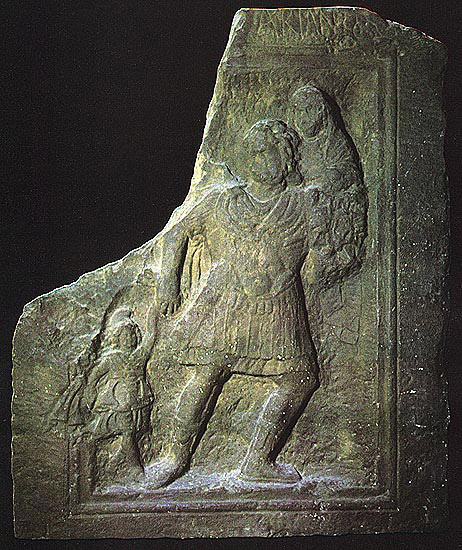 Relief of the 2nd century BCE. © Photo, text: GIOVANNI D’ANNA “LEGGENDE E TRADIZIONI DELL’ANTICA ROMA”, ARCHEO, N. 31, p. 8. Photo — G. C. Costa, AFE.